I love this time of year and all of the rusty shades of copper that are blowing in the trees. With the storm last week notwithstanding, the weather is crisp and the leaves are gorgeous. In fact, in DC, it’s almost impossible to tell we had any bad weather at all. That said, I’m hoping all my readers and clients who are negatively impacted by floods and storm damage and power outages recover quickly and fully. 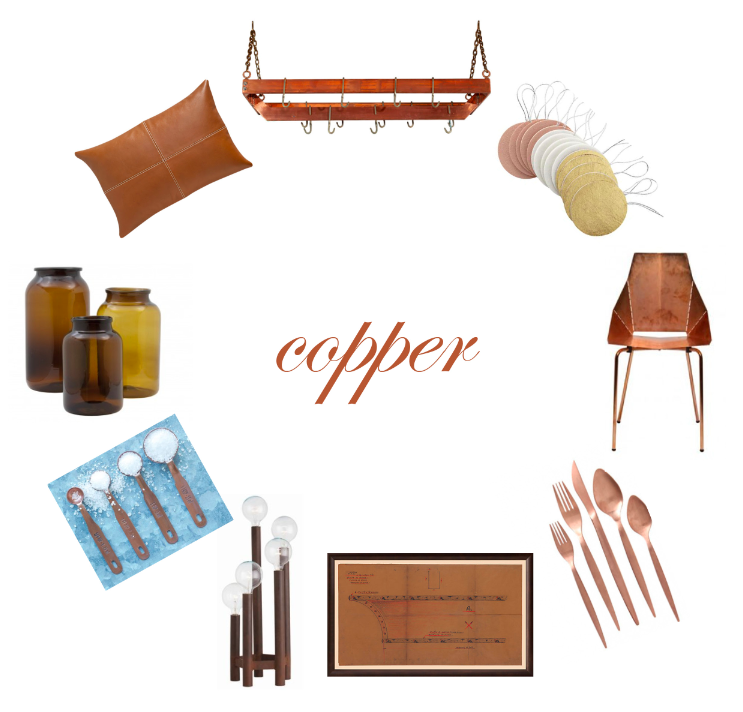 Since this week’s thrown everyone for a loop, I’m bringing you Color Friday – Copper! – a day late this week. If you love this rustic shade as much as I do, check out an older round-up: there’s a lot of copper to go around! Enjoy, and stay warm!